Miramichi is getting $94.4 million for a new bridge to replace the 63-year-old Anderson Bridge, government officials announced Wednesday afternoon. Transportation and Infrastructure Minister Bill Fraser, who is also the minister responsible for the Miramichi and Northern Funds, made the announcement at the Knights of Columbus club. The provincial government will put in $53.6 million for the new span across the northwest Miramichi River, he said, while the federal government will contribute $40.8 million. Anderson Bridge, located on Route 8, near the old UPM Kymmene mill site, is a "crucial link for the people and businesses in the Miramichi region and northern New Brunswick," providing connections to the Trans-Canada Highway and communities in the rest of Canada and the United States, said Fraser. "We know residents want infrastructure that is dependable, meets their needs, and supports our economic activity," he said. The existing bridge, built in 1953, has been down to one lane for about a year due to structural problems. The new structure will feature a wider cross-section and be better able to accommodate the region's traffic needs, officials said. Preliminary environmental work is already underway, with construction expected to begin in 2019 and the bridge slated to open in 2021, said Fraser. The current bridge will remain open to one lane of traffic until then, he said. "By supporting the replacement of this bridge, we are ensuring traveller safety, reducing congestion, better managing traffic volumes, and reducing travel times," said Miramichi-Grand Lake MP Pat Finnigan, who attended the announcement on behalf of federal Infrastructure and Communities Minister Amarjeet Sohi. The Anderson Bridge was not one of the 292 bridges across the province that Auditor General Kim MacPherson listed as being in "poor" condition in her 2013 report. Her audit looked at 2,553 bridge structures, which were rated on a bridge condition index up to 100. 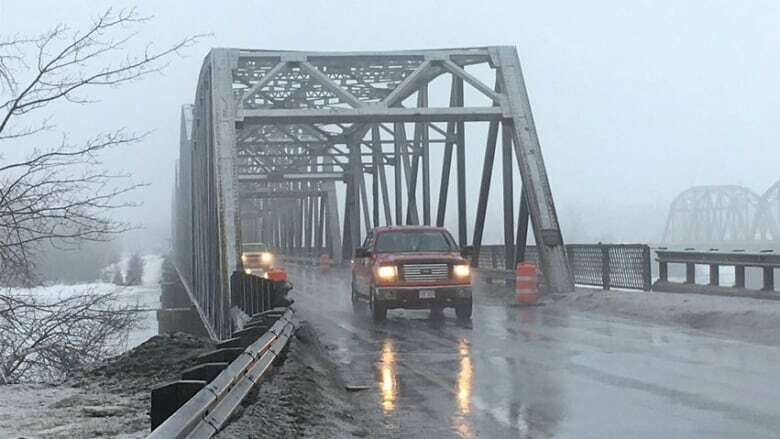 Those that received a score of 60 or below were deemed in "poor" condition, which indicates "significant" maintenance work was required in the "near term" to keep the bridge in service, not that the structure is unsafe.